Why It’s Important to Vote in Mid-Term Elections! I don’t know what Sen. Dean Heller has done (or not done) in Washington, but clearly, he’s not just disliked at home in Nevada. On Sunday’s 60 Minutes, Breitbart’s Steve Bannon let the world know that he has put Heller first and foremost on his “Enemies List” pretty much making him the #1 most vulnerable Senator in the 2018 race for re-election. While a number of Democrats are considering a run for the seat, including Rep. Dina Titus and Rep. Jacky Rosen, Nevada’s perennial candidate, Danny Tarkanian has stepped up to the plate yet again. If anything, Tarkanian has proven yet again WHY it’s important that every single Democrat makes it to the polls in 2018 to vote for someone who will actually represent Nevadans, not every whim of President Trump. Trump may have won the electoral college, but he lost the popular vote by a historic margin. That fact apparently insults his fragile ego to the effect that he’s now amplified his claims of voter fraud and formed a commission that will look for the equivalent of lightning repeatedly striking the same exact spot. 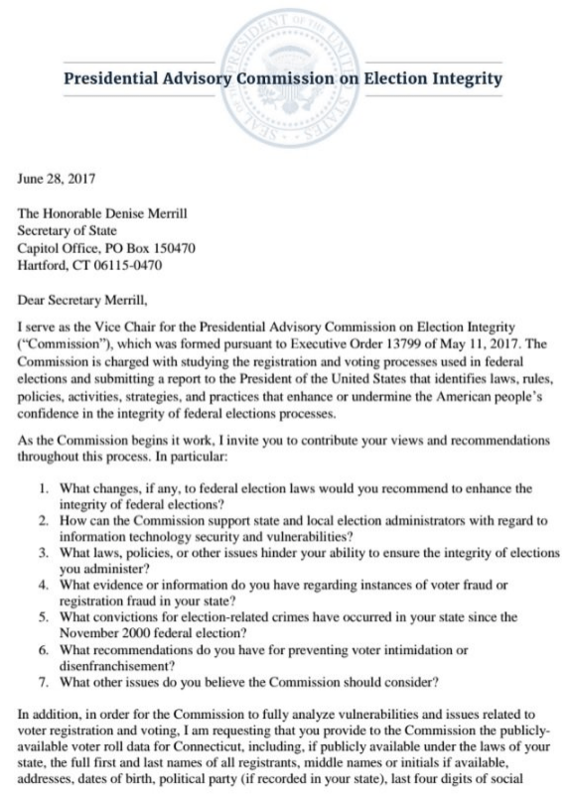 Heading that commission will be Kansas Secretary of State Kris Kobach who championed an illegal voter suppression technique called “caging” and launched a program called Interstate Crosscheck to compare voter registration data across states and ferret out evidence of double voting. Crosscheck, in the 30 states that took up using it, flagged 7.2 million possible double registrants, no more than four have actually been charged with deliberate double registration or double voting. Very few actual cases of fraud being referred for prosecution. A new investigation from Rolling Stone raises fresh concerns about Interstate Crosscheck, finding that its methodology has a built-in racial bias that puts people with African-American, Latino and Asian names at greater risk of being wrongly accused of double voting. We combed through the news-aggregation system Nexis to find demonstrated cases of absentee or in-person voter fraud – which is to say, examples of people getting caught casting a ballot that they shouldn’t – during this election. 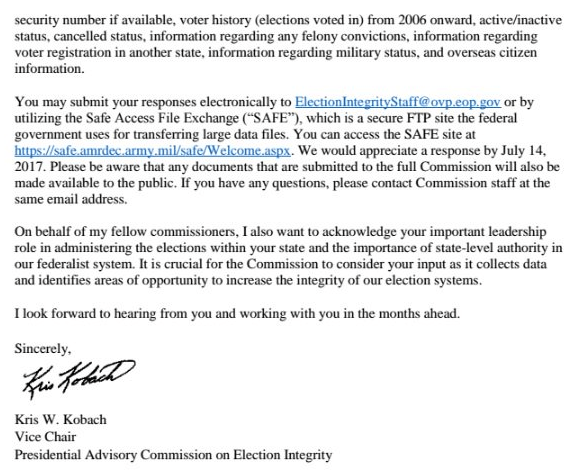 This excludes examples of voter registration fraud – the filing of fraudulent voter registration information. Those aren’t votes cast – and given that organizations often provide incentives for employees to register as many people as possible, registration fraud cases (while still rare) are more common. The found a grand total of only four documented instances of voters attempted to cast fraudulent votes. Not four percent, literally four individuals — and most of them were Republican voters. There are no other documented cases of voter fraud in the entire country in 2016. These four represent 0.000002% of the ballots cast, and again, they weren’t actually included in any official tallies. But it gets worse as he states: “Please be aware that any documents that are submitted to the full Commission will also be made available to the public.” Wonderful! 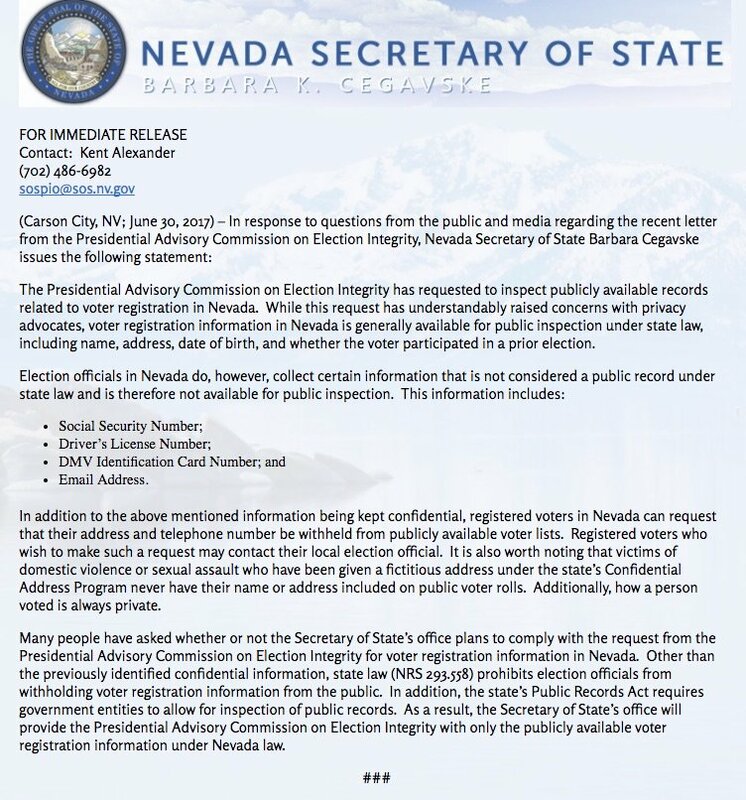 Are they planning to make it easy for hackers/criminals to use your personally identifiable information to commit identity theft as a means of voter intimidation and suppression? If you’re unable to view the document in the Scribd applet, you can access it on Scribd HERE. “For years, foreign adversaries have directed cyberattacks at America’s physical, economic, and military infrastructure, while stealing our intellectual property. Now our democratic institutions have been targeted. Recent reports of Russian interference in our election should alarm every American. “Congress’s national security committees have worked diligently to address the complex challenge of cybersecurity, but recent events show that more must be done. While protecting classified material, we have an obligation to inform the public about recent cyberattacks that have cut to the heart of our free society. Democrats and Republicans must work together, and across the jurisdictional lines of the Congress, to examine these recent incidents thoroughly and devise comprehensive solutions to deter and defend against further cyberattacks.